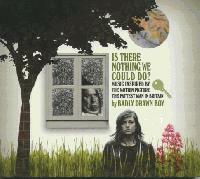 Badly Drawn Boy Is There Nothing We Could Do? This is a good collection of songs. The full songs are pretty and very enjoyable. It's not quite as good as his other soundtrack. The common themes that come back in and out throughout are nice. It's good to have him back. Give Your Opinion on Is There Nothing We Could Do?